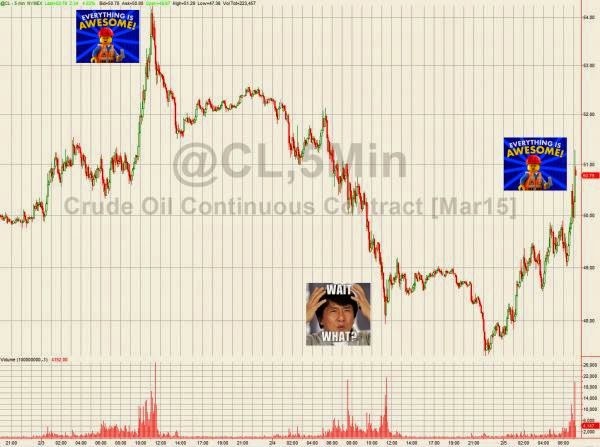 Oil is down because rigs are being opened and oil was up because rigs were being closed. 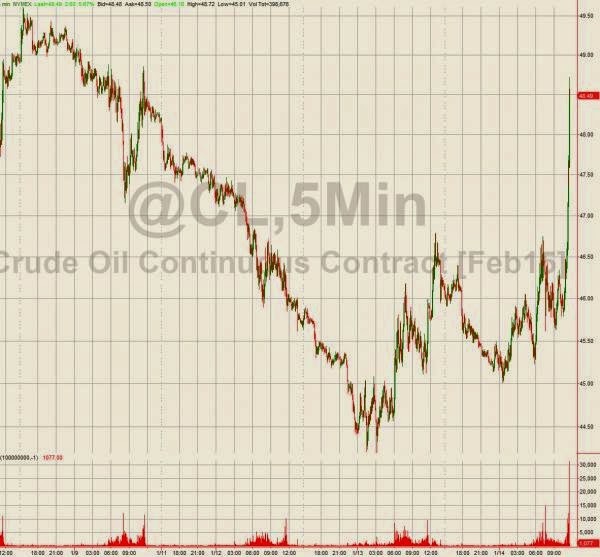 WTI Crude futures are up almost 6%, spiking above $48.50 into the close and options expiration... no fundamental catalyst for now... Once again, crude futures have been 'spoofed' all day so this is hardly a surprise. 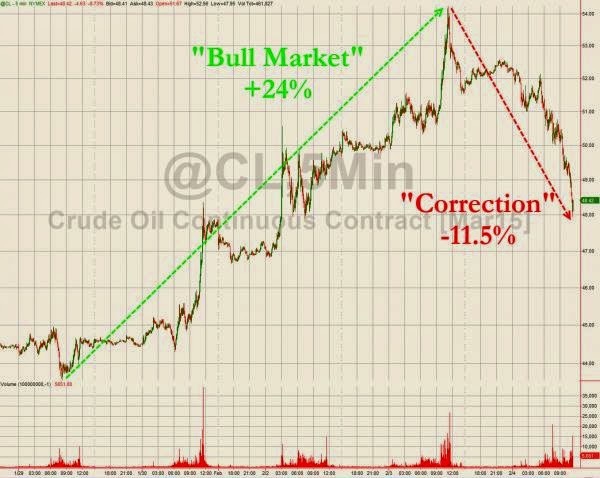 Copper & Crude Convolutions: "The More This Goes On The More It Looks Like 1937"
The primacy of the monetary pyramid in 2015 is not really about money as it is all ideology. If you believe that monetary policy provides “stimulus” then you immediately remove all thoughts of any economic decline during times when monetarism is most active. Since “it works” then all else must fall into place. Contrary indications are thus given extraordinary lengths to maintain logical consistency. 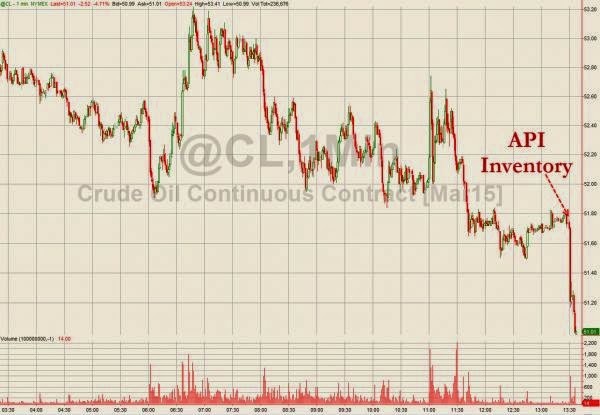 That was certainly the case with crude oil prices these past few months, as the initial impulse was uniformly and incessantly prodded to over-supply. Again, the reasoning behind that was simply since “stimulus” works and it was being practiced and replicated all over the world there was no possible means by which “demand” might drop, and so precipitously. After a few weeks of oil “unexpectedly” falling further, re-assurances were more difficult and increasingly derivative by nature. 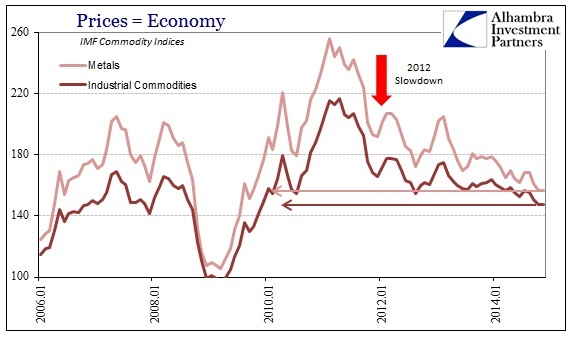 That lack of demand is why the commodity markets aren’t forecasting bad times in the future; they’re mirroring the current dark “mood” of the commodity investor, said analysts at Citi Research in a research note from 16 November. The article should have just come right out and stated the central theme: commodity “investors” are in a “dark mood” because the world is so good right now. And while that may hold some minor plausibility on the surface, it is, again, far too narrow and focused solely on this moment. Even if commodity prices were, in fact, trading only on over-supply, therein lies the seeds of the next economic problem anyway. What factor in this economic world would lead to such an imbalance in the first place? After all, businesses are supposed to be set on expectations for future conditions, and this narrative more than suggests that they were decidedly bad at doing so. Producers that so over-produce themselves into big trouble are either really stupid, or led astray by prices that, at their core, don’t make fundamental sense. One reason Haworth said he’s not worried about a bigger global recession is the behavior of copper prices. Because the red metal has many industrial uses, commodity watchers will sometimes say copper has “a PhD in economics”, and it can be a gauge of future industrial demand. US copper futures prices have dipped below $3 a pound on rare occasions in 2014, but it’s always bounced back up. Prices currently are around $3.04. Haworth called that “heartening” and posits copper prices are suggesting that while global growth is not strong, it’s not falling apart. Almost immediately upon having those words printed, the price of copper declined below $3 and has remained lower ever since; in fact still falling further even now. 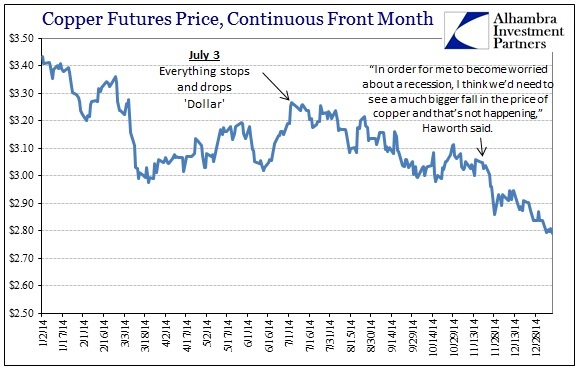 I don’t profess to know at what price Mr. Haworth would consider low enough to change his global recession stand, but in wider context it is clear that the possibility has already been more than suggested. 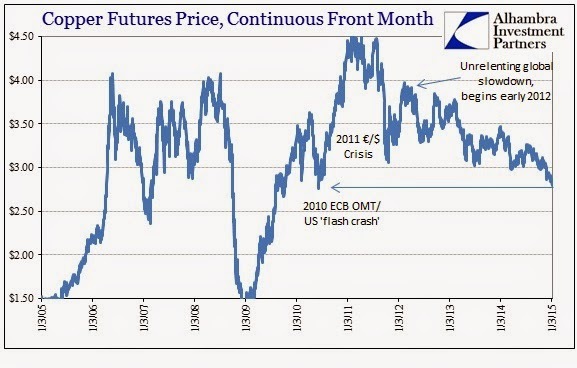 As of this morning, the front month futures price of copper delivery is almost exactly the same price as it was in June 2010 at the lows when recovery after the Great Recession was very much in doubt – leading to QE2 and the last great “rip” in commodity prices (as if that were a good thing). It only matters that copper prices are not wholly collapsing right now, in scale closer to what happened starting July 2008, if your view of the world is temporally tapered. Taking a longer view, copper prices have been falling since the 2011 apex of the $/€ crisis, with the longer-term trend established in early 2012 as global growth (demand) has done nothing but wane. In a globalized and financialized world, financial disruption, which is what a “rising” dollar signifies, is not an independent paradigm. The more prices trend exactly opposite of how “stimulus” is supposed to work, the less these convolutions will hold up whereby, eventually, reality sets in. 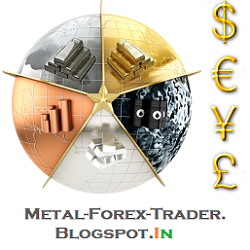 The significance of the action in December is that there are no more lines in the sand left to defend the “honor” of monetarism; copper isn’t anywhere near $3 anymore and the long-predicted crude oil bounce to $70 is instead $45 and falling. Only equities remain, and at these valuations they signify nothing but the folly of the artificial economy. The more this goes on, the more it looks like 1937 lives again. 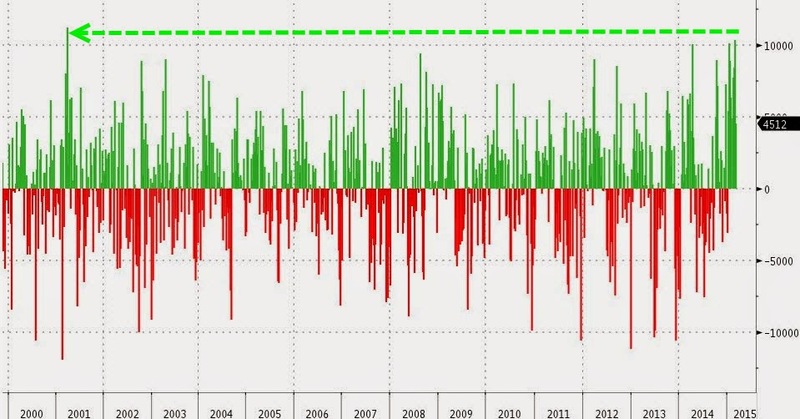 WTI crude oil prices are now down almost 55% from the June highs, the impossible just happened... WTI Crude broke into the $40s... the 6-month plunge is the largest since the pre-Lehman plunge and 2nd biggest plunge in 28 years. 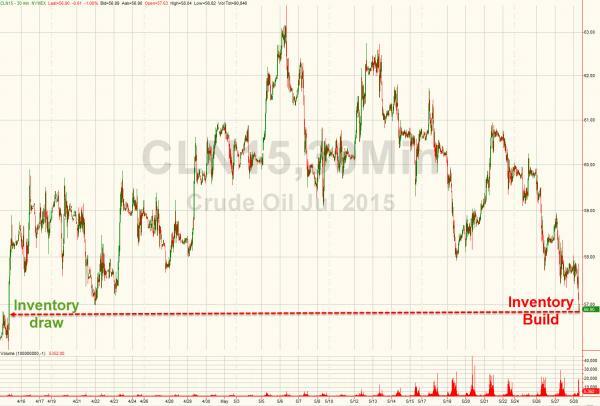 This is exactly what Jeff Gundlach feared. Natural gas futures were higher on Friday, easing off two-year lows as reports of an outbreak of cold January weather was expected to stoke demand for the heating fuel. On the New York Mercantile Exchange, natural gas futures for delivery in January were up 4.83% at $3.029 per million British thermal units during U.S. morning trade. Natural gas futures found support after the U.S. government’s Global Forecast System published earlier in the week showed "a stronger cold push" in the Midwest. The report also showed lower temperature readings for the Plains, Texas and the Northeast for January 3 through January 7, while forecasts turned colder in the central and northern mid-Atlantic regions for the following five days. However, forecasts from Commodity Weather Group on Friday indicated that the weather in January will be 6.7% warmer than a year earlier. Natural gas prices dropped below $3 per million British thermal units last week to the lowest level since September 2012, as unusually mild winter weather limited demand while production soared. 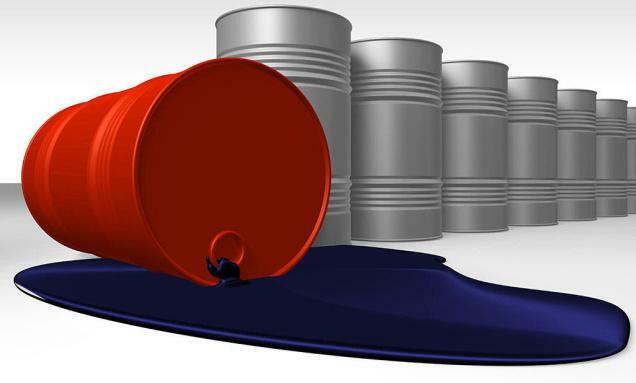 On Wednesday, the U.S. Energy Information Administration said in its weekly report that natural gas storage fell by 26 billion cubic feet last week, compared to expectations for a decline of 38 billion after a drop of 49 billion in the previous week. Total U.S. natural gas storage stood at 3,220 trillion cubic feet. 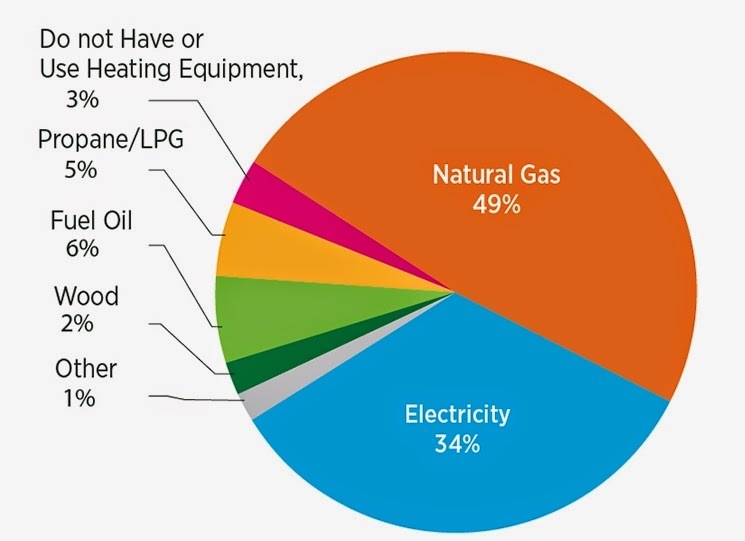 Approximately 49% of U.S. households use gas for heating, according to the EIA, the statistical arm of the Energy Department. 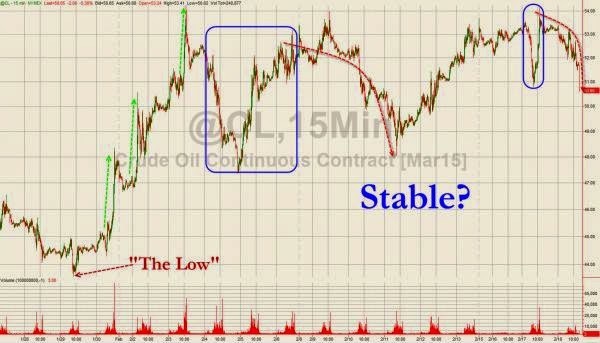 In the last couple of months, the sharp reversion in oil prices has certainly caught the world’s attention. While the majority of economists and analysts continue to expect incorrectly that falling oil prices are a positive input to economic growth, the reality is that it is not. The negative impact to economic growth from the decline in oil prices are quite considerable when you consider that almost 40% of all the jobs created since 2009 have been in energy related industries. Furthermore, many of those jobs are in the highest wage paying areas of the country that leads to more consumption and further job growth in other areas of the economy. In fact, for each job created in the energy sector there are nearly three jobs created elsewhere in the economy. As I discussed at length previously, the current problem in the energy price is a realization of a supply / demand imbalance. 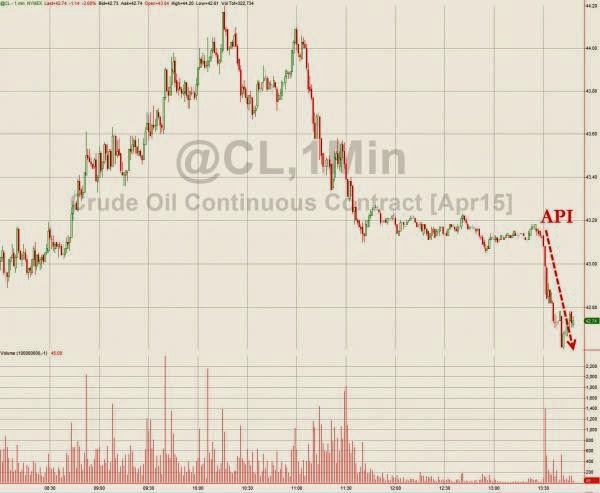 "First, the development of the‘shale oil’ production over the last five years has caused oil inventories to surge at a time when demand for petroleum products is on the decline as shown below." 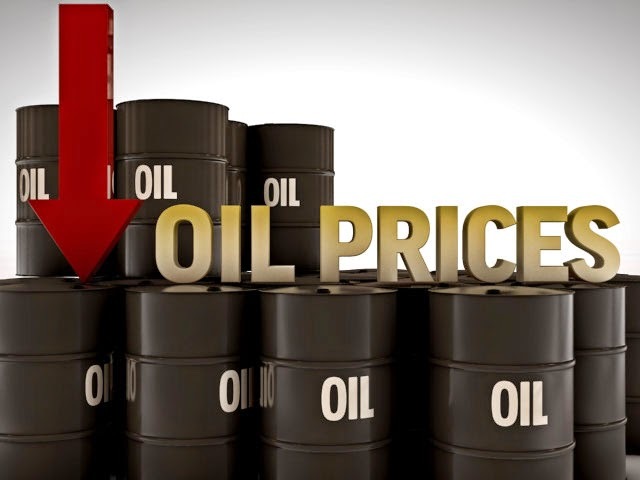 While the economists and analysts are hopeful for a sharp recovery in oil prices, the current decline in oil prices is nothing more than a return to historical normalcy. Let me explain. 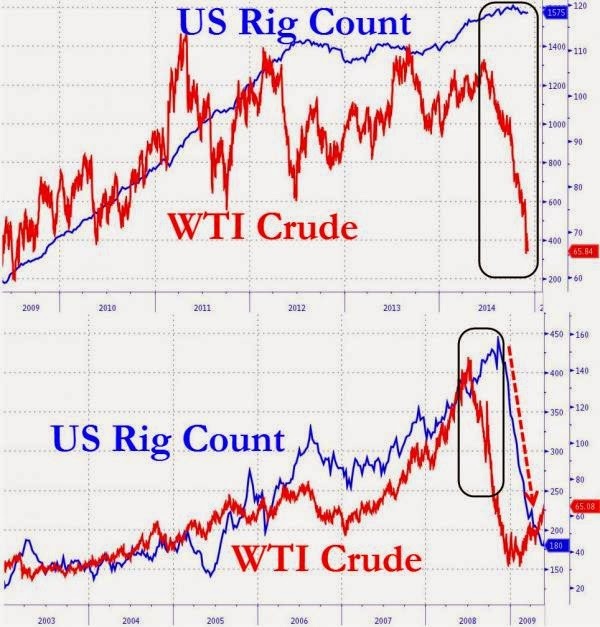 If you ask virtually any oil and gas professional, that has been around the industry longer than the graduating class of 2000, they will tell you that the historical relationship between oil and gas prices is roughly $8. The chart below shows the highly correlated history of oil and gas prices until 2008. 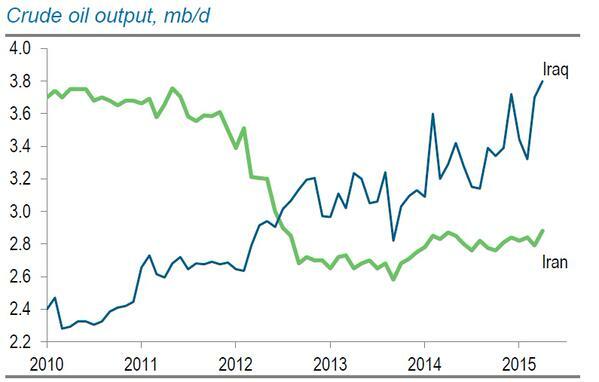 “The oil and gas sector is capital intensive. Drillers have borrowed phenomenal amounts of money, which was nearly free and grew on trees, to acquire leases and drill wells and install processing equipment and infrastructure.Even as debt was piling up,the terrific decline rates of fracked wells forced drillers to drill new wells just keep up with dropping production from old wells, and drill even more wells to show some kind of growth.One heck of a treadmill. Funded in part by junk debt. With an excess supply now realized, particularly as global demand continues to wane, oil prices are now returning back towards their historical long-term relationship. If we assume that natural gas, which has been trading around $4 per BTU, has already returned a more normalized supply/demand range this would imply that oil prices have further to fall. The chart below is an extrapolation of the current West Texas Intermediate Crude price forecasted into 2016 on a monthly basis. It would currently require a decline in oil prices to $33 per barrel to return the WTIC/NatGas ratio back to its historic spread of $8. As T. Boone Pickens notes in his interview, the main supply / demand divergence is in the process of returning back towards equilibrium particularly in light of the deflationary forces that exist on the global landscape. While it is certainly feasible that we could see a sharp “snap back” rally from the recent plunge in oil prices, it is likely an opportunity to reduce energy exposure in portfolios before the next leg lower. Just as a reminder, the last time oil prices fell 50% from their peak was in 1985-86. 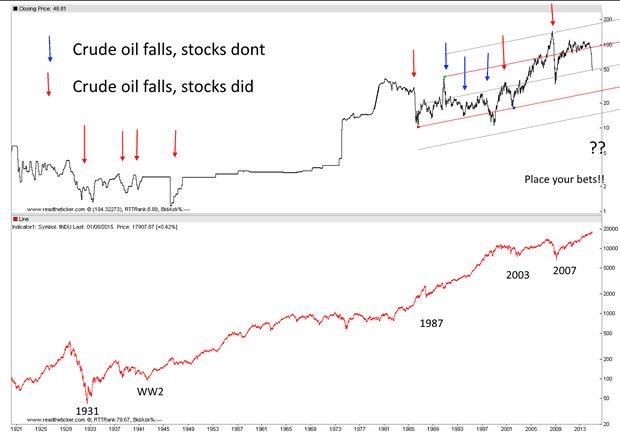 Oil prices then stayed at those levels until the turn of the century. The rebalancing of supply and demand could leave oil prices at lower levels for much longer than the majority of analysts currently believe. Considering that oil production related states have done the majority of the work related to the current domestic economic recovery, such an outcome could derail the hopes for a continued economic revival. Natural Gas prices are down over 11.5% in the last 2 days, falling to their lowest price since January 2013, as a familiar tale of excess production in the face of ebbing demand looms large. 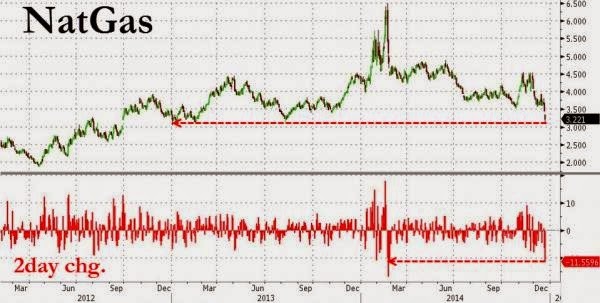 As WSJ reports, BNP Paribas' Teri Viswanath notes "the delayed return of cold weather has simply curbed all buying interest," and this was exaggerated by technical selling as the market broke previous support around 3.50. Ironically, given its detrimental impact on GDP, Macquarie points out, "it is increasingly apparent to us that weather will need to bail the market out again this winter - otherwise prices could see material downside during the spring and summer months." Natural-gas futures slid to their lowest prices this year and entered a bear market Friday, as investors come to grips with surging production that is beginning to push the U.S. toward potential oversupply. Analysts said Friday’s selling was partly driven by technically driven trading as the market broke through levels where it previously rebounded. Though the U.S. has begun to draw on natural-gas stockpiles for fall and winter heating needs, continued booming production from U.S. shale fields is helping to replenish supplies. As a result, withdrawals from storage have been smaller than average, and the U.S. has begun to erase a supply deficit that has persisted most of this year, after outsize demand from the severe winter last season dragged stockpiles to an 11-year low. 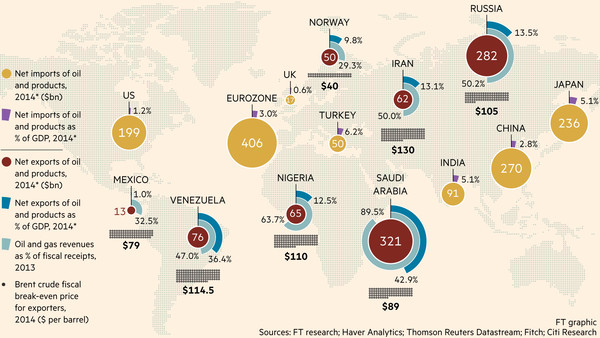 Winners and losers of oil price drop. Following Friday's US weakness and UAE's hint that $40 oil is coming next, the crude carnage continues as Middle East markets are crashing. As WSJ reports, the bearish direction of oil prices again spooked investors in Dubai where the DFM General Index finished down 7.6%, extending Thursday’s 7.4% rout. 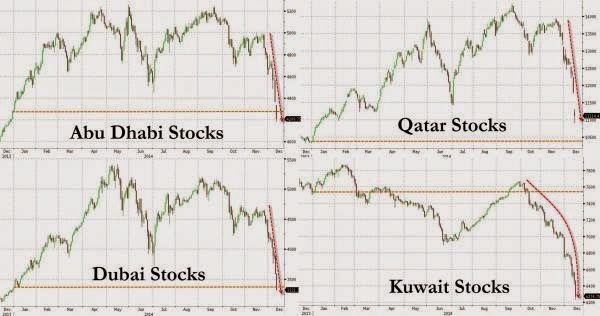 The bloodbath extended across the entire region with Abu Dhabi down 3.6%, Qatar slid 5.9%, Kuwait fell 2.9%, and Saudi Arabia’s market, the largest bourse in the region, retreated 3.3%. "the severity of this decline could very well be explained by investors covering margin calls as leverage was used on the way up over the past year." In late 2006, default rates on lower-rate subprime private MBS began to rise considerably. Though not a very transparent market to the mainstream media-watching world, bankers knew trouble was brewing as this had not happened before in such a benign house price decline. Banks, knowing what they had on their books, what they had sold to others, and what that meant for risk, began quietly buying protection on other banks as counterparty risk became a daily worry for desks across Wall Street. 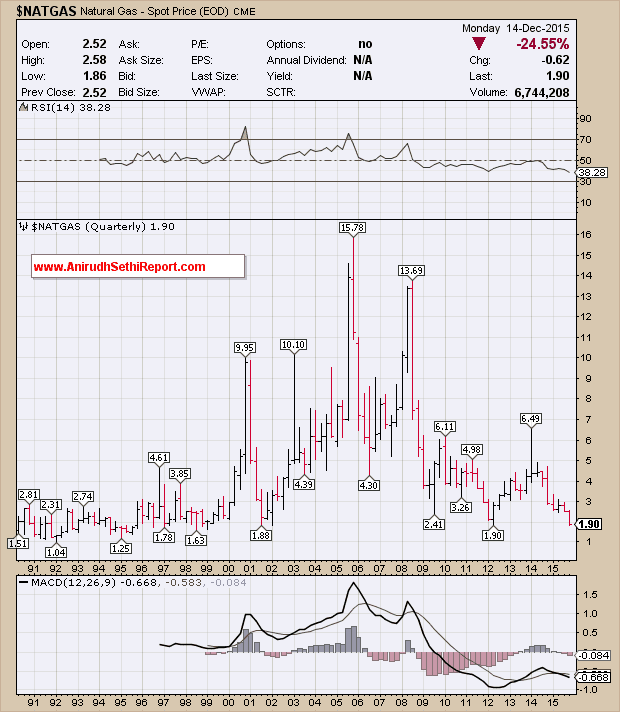 The stocks of US financials continued to rise amid "contained" and "no problem" comments from the status quo but credit spreads for the major US banks kept leaking wider even as stocks rallied... then reality dawned on stocks and the rest is history. 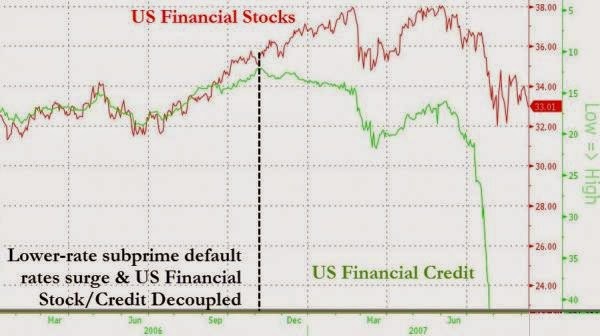 Today, US financial credit spreads (wider) have decoupled once again from stocks (higher) and that divergence began as oil prices started to slump. Are banks hedging counterparty risk once more 'knowing' what loans and exposures they have to the massively levered US oil industry? Or is it different this time?